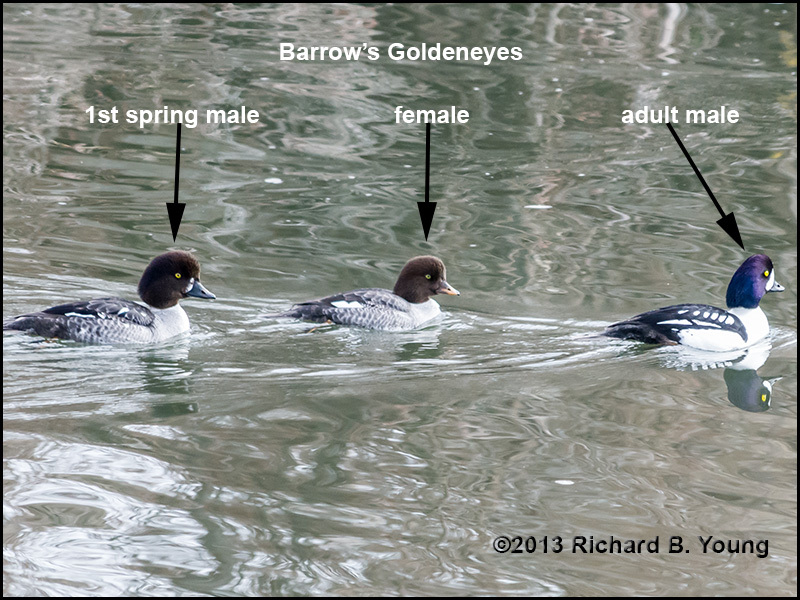 "What does a First Winter-Spring Barrow's Goldeneye look like?" Salt Lake County, UT., February, 2010. 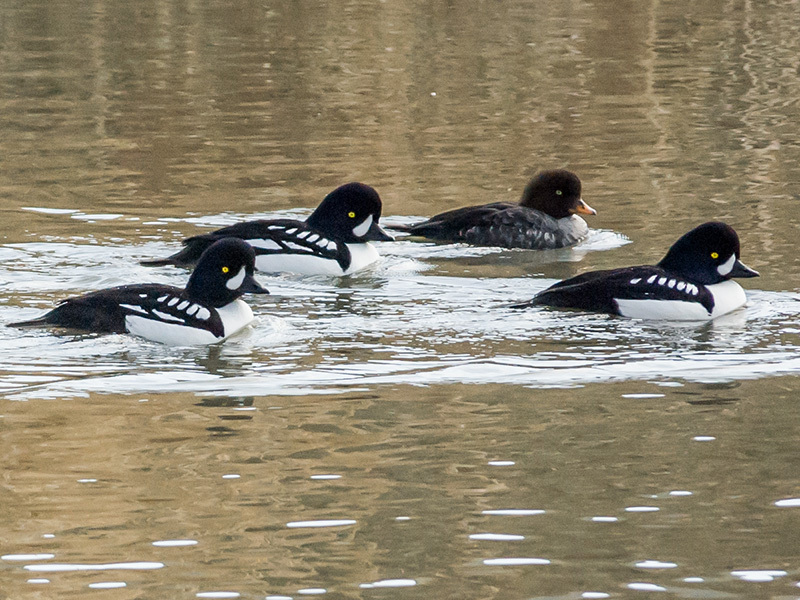 A "flotilla" of Barrow's Goldeneyes (even more were seen outside this frame). Please note, the emergence of a white crescent near the black bill! 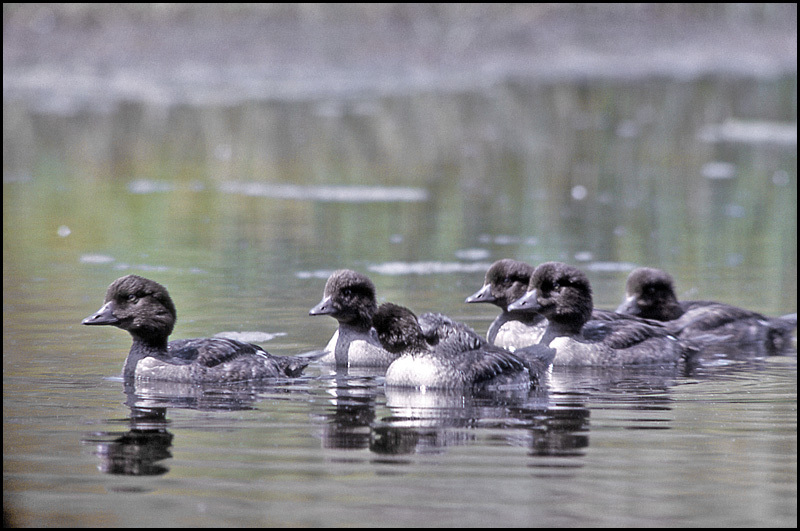 3 Males and 1 female, breeding plumage. This image was taken at Jordan River Parkway, about 2300 South. 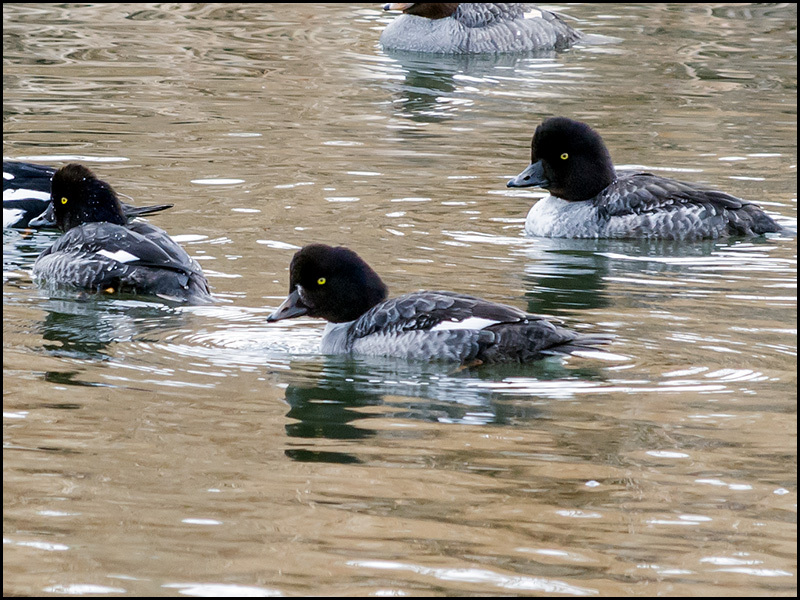 3 distinct individual 1st Winter-Spring Male Barrow's Goldeneyes. Developing white crescent at the base of the bill. 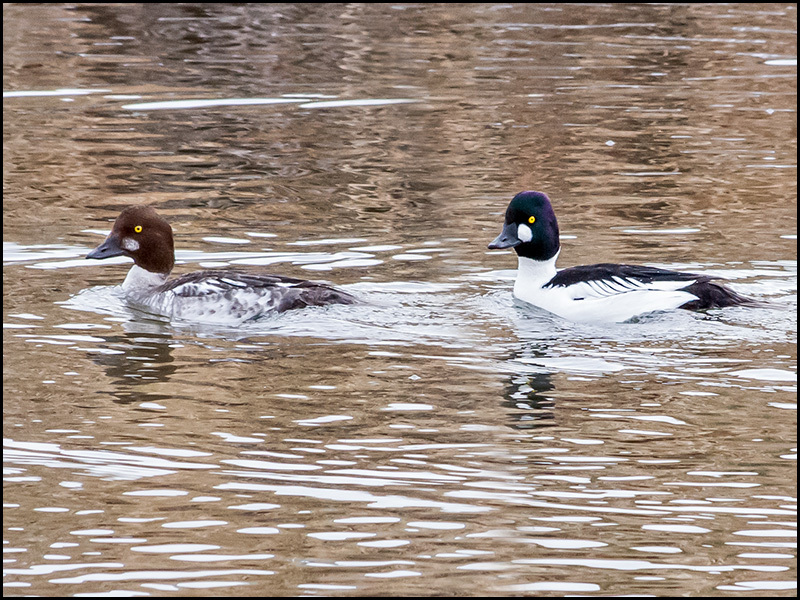 In my photographs, a few 1ST SPRING GOLDENEYES WERE SEEN LACKING ANY WHITE (CRESCENT) NEAR THE BASE OF THE BILL. 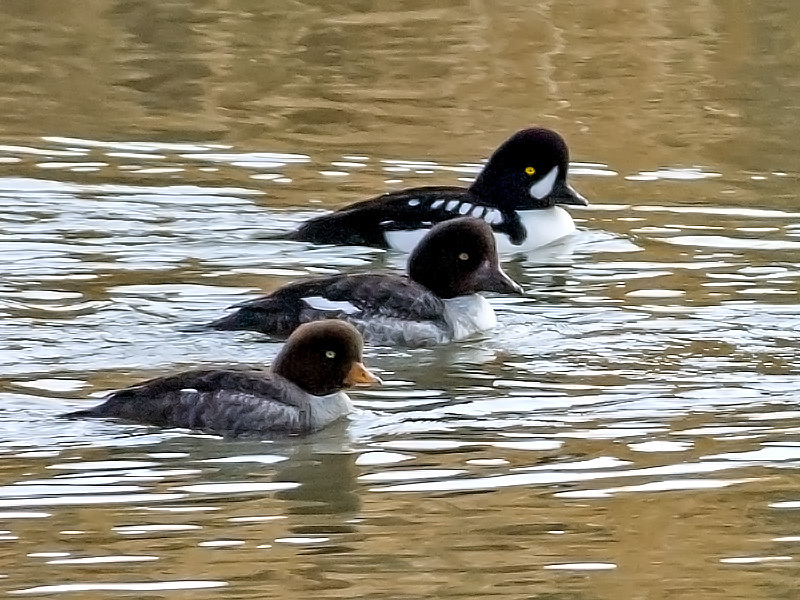 They are followed by 3 1st-Spring-male Barrow's Goldeneyes; but only the center one has any indication of a white crescent beginning to appear at the base of the bill. 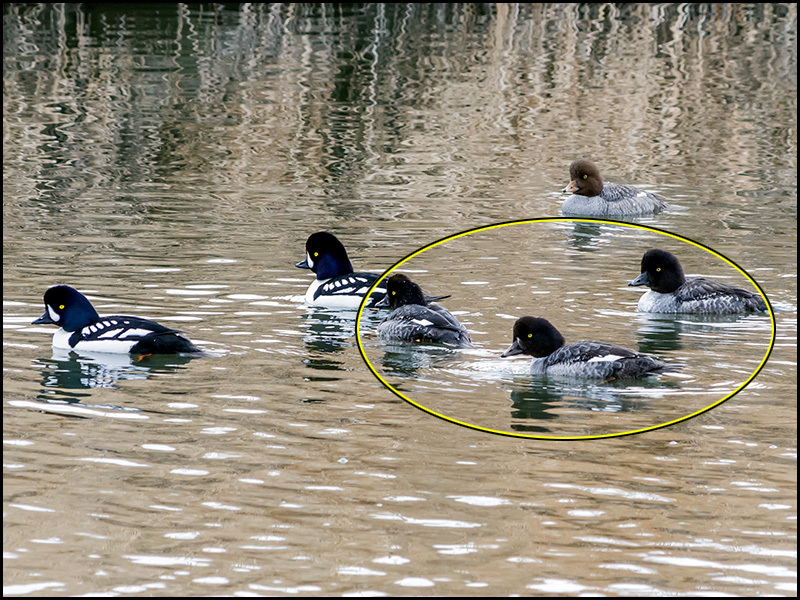 Look more closely at the circled birds (image below this one). 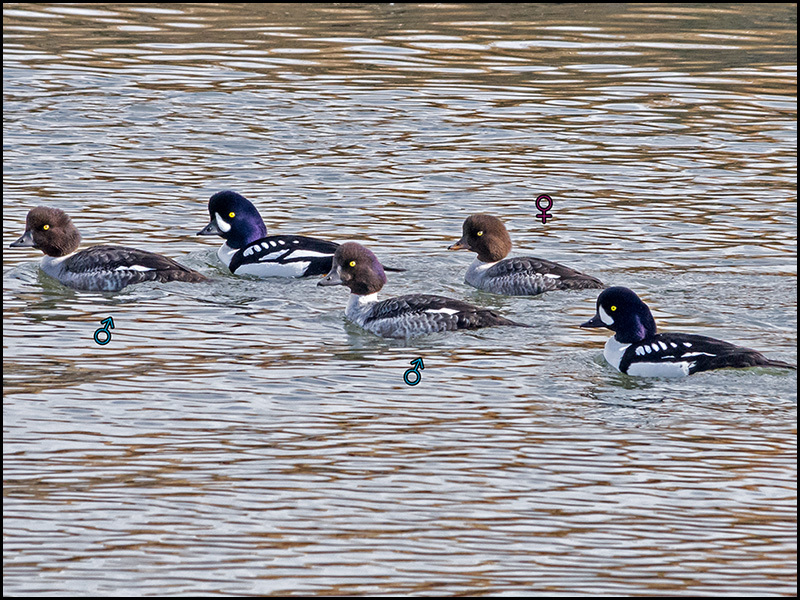 Notice, only the center male has any white coloration at the base of his bill. Thus, there is a time when 1st Spring male Barrow's have no white on their heads. Could these 2 be 1st Spring females? Not likely. Sibley says the 1st winter female's bill begins to transition to yellow around December. 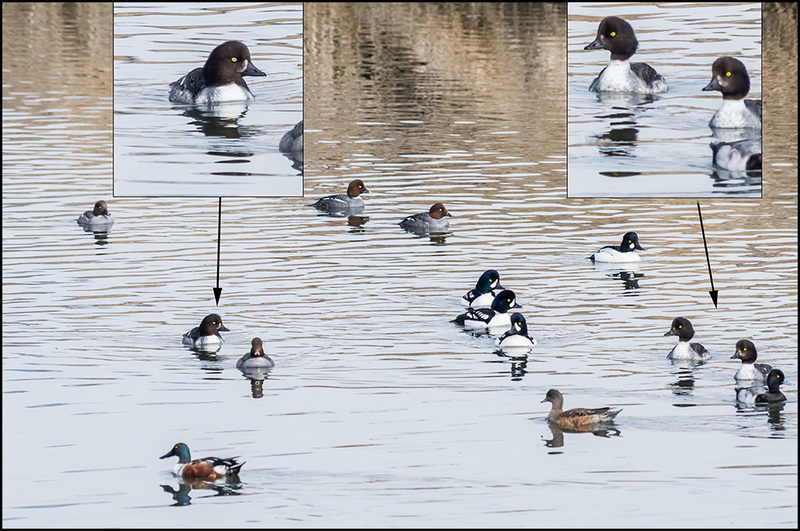 These images were taken in February, and I do have examples of that transition below. 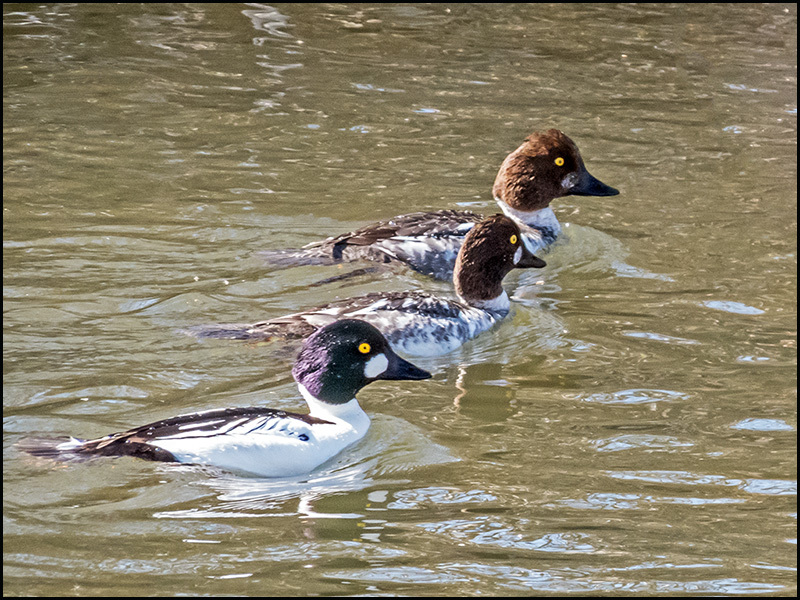 Here are 2 1st-Winter-Spring males, along with a 1st-Winter-Spring female shown with its bill in the process of transition from black to yellow. juvenile Barrow's in Summertime at Yellowstone N.P. Both sexes are indistinguishable at this time. Copyright ©2013 Rich B Young.